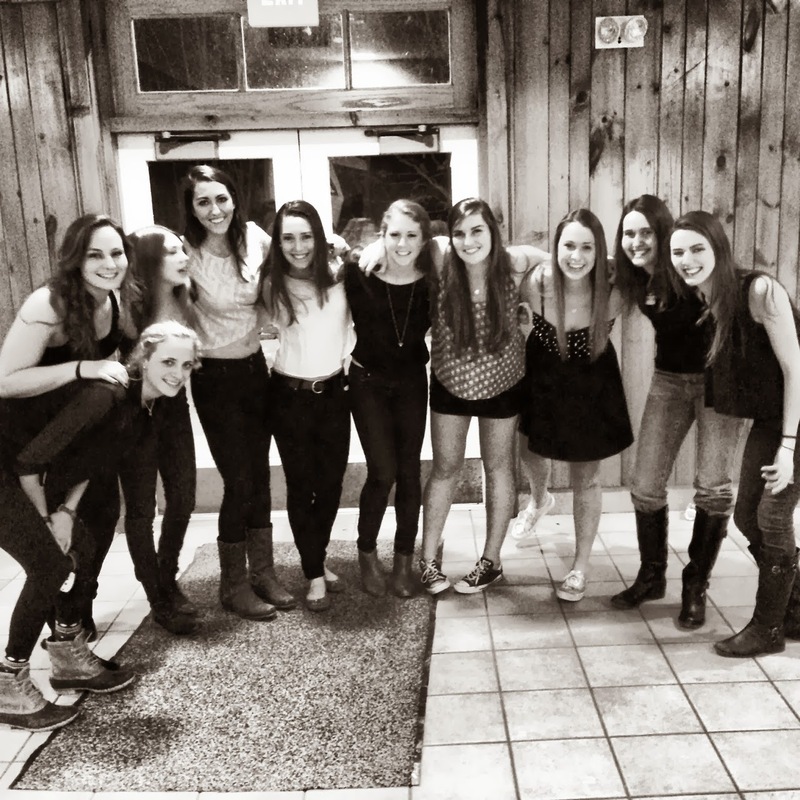 MIDD Volleyball 2017-18: Happy Birthday, Lizzy!! We seem to have several birthdays during the season, which is always fun, and then I usually know about them. Out of the season, I tend to be a little more out of the loop, and I don't always know what happens with other birthdays. 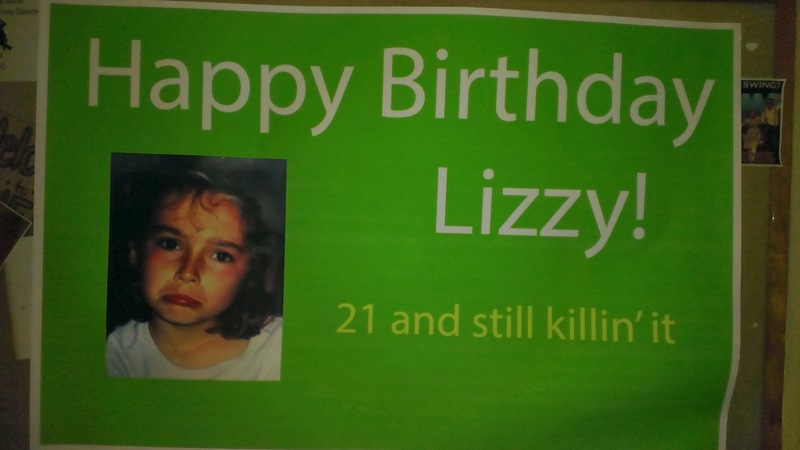 However, not long ago, most of the team got together to celebrate Lizzy's birthday with her, which was a lot of fun! The team cleans up well. And, someone (Jordan?!) made this great poster and hung it in her dorm! :) Happy Birthday, Lizzy! !